Does your Xbox 360 Controller Driver Not Working on Windows 10? We have shared working guide to fix Xbox 360 Controller Driver Not Working error. Many people love to play games on their windows pc with the Xbox 360 controller. It is best video game consoles that support all Microsoft operating system, so you have to connect it on your Window XP, 7, 8, 8.1, 10 or Vista. One can connect it in both modes: wired and wireless. Those who regularly play games on their Xbox 360, often face the problem of Xbox 360 controller driver windows 10. So if you are facing the same error and look for a proper solution, then you are at the perfect place. So if you search for the fixes of Xbox 360 controllers not working on windows 10, then here is the answer. Here we have provided a different solution, and each of them working for different users so try one by one and find which works for you. Due to some corrupted or faulty USB drive, most of the time this problem occurs as Xbox needs USB support for wireless controllers. So if you are connecting your Xbox via a wireless connection, check that your USB cables are properly inserted in the port and your port is properly working. Check it by different cables and ports. Except this, some other reason of Xbox 360 controller not working on windows 10 are given below with their solutions. So before we go to the step by step guide of the solutions, take a look at the major reasons for this error. 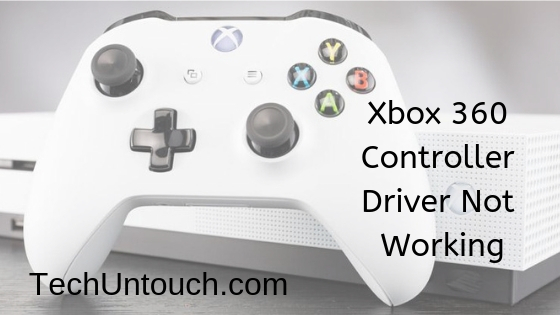 Now, let’s take a look at the solutions that are 100% working to solve we are going to learn different 100% working solutions for Xbox 360 controller driver windows 10 error. If you want to fix the Xbox 360 controller not working on windows 10, this method is almost working for all of the users. To proceed with this method first, insert your device to pc and then install the driver. Step #1: Go to the search bar or Cortana and type Device manager in it. Click on the top result and open it. As you click on it, you can see a new window on your screen. From the device manager, click on the view tab from the top of the screen. Step #3: As you click on it, you can see a drop-down menu, choose the last to second option titled as Show hidden devices. Step #5: Choose the driver of Xbox and right click on it and choose the Update driver software option. Step #6: A new dialogue box will open as you click the relateable option. Here you have to choose the second option titled as Browse my computer for driver software. Step #7: On the next screen, you have to pick the option titled as “Let me pick from a list of device drivers on my computer” from the column. 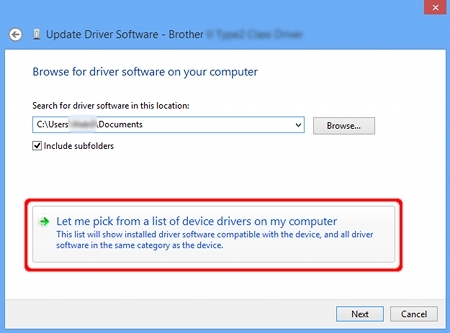 Step #8: As you click on the above option, a list of all installed drivers from your PC. Here you have to choose the Xbox 360 peripherals and then click on next. Step #9: Now, choose the latest version of Xbox drivers and click on next option. As soon as you click on next, you can see a pop-up box, ignore it and click on ok and wait till the driver installed successfully. Step #10: Now, press and hold the Bluetooth button on your Xbox 360 controller for 3 to 4 seconds. And all done. Note: If you are not sure with the manual steps to update the drivers, then you can pick the automatic driver update software. This software can do whole work in two clicks. Yes, you have first to download and install software and then run it. As you click on scan option, it will find all the corrupted, faulty, or old drivers and install the latest drivers without any error. By this way, you can save your time also. Step #1: Go to the search bar and type device manager in it and open it. Click on the view, and you can see a drop-down list. Choose Show hidden devices option. Step #2: Find the Xbox 360 peripherals option same as the fix 1. 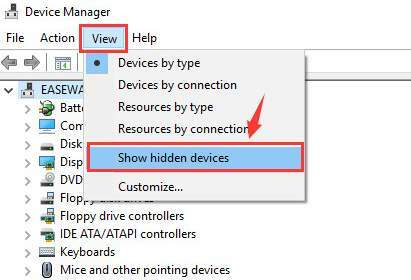 Find it and right-click on the Xbox 360 wireless receiver for windows and click on the uninstall tab. Step #3: You can see a new pop up will display on your windows that ask for your confirmation. 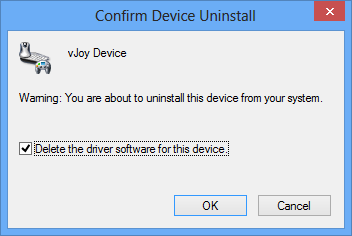 Click on the option of delete the driver software… and click on ok. Step #4: Now restart your system and plug in the Xbox 360 controller and it will automatically install the compatible drivers automatically. If in case any of these two methods will not work for you, then you can try your hand on this method. The outdated drivers can also cause this Xbox 360 controller not working on windows 10 problem. So you can install the latest drivers from the manufacturer’s website. Sometimes the windows update are set to disable, and it may cause this error. So check for windows update from the following steps. Step #1: Go to Start bar and type settings in it. Step #2: From the setting, pick the Update & Security option. Here you can see Windows Update. Click on the Check for updates. If there are any updates are pending, it will show you in the list. Update it and check the problem is solved or not. It is all about how to solve Xbox 360 Controller Driver Not Working Windows 10 error on your pc. Hopefully, you find a proper solution from this article. Even after trying all the fixes, if you can’t solve the problem, you can freely ask for other solutions as well. Our team of experts is for you. Thank you! How to Download Garageband for Windows 10?